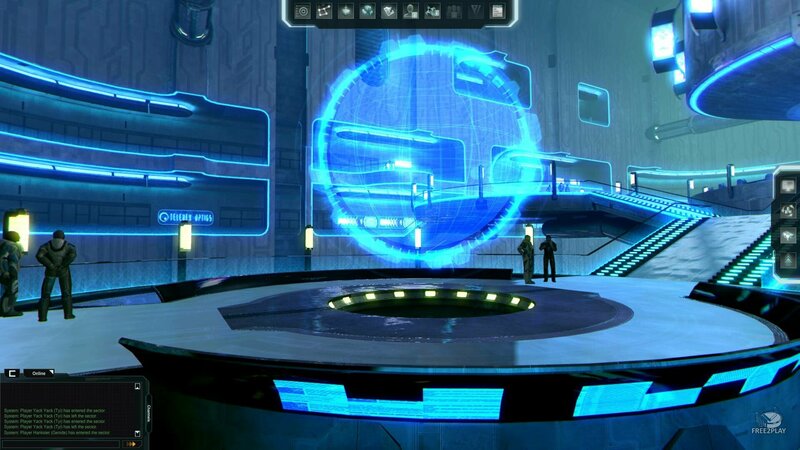 In the 26th century, mankind has expanded across the galaxy, yet only few of its colonies are controlled by Humans. The true rulers are the cybernetically enhanced Tyi and the biogenetically perfected Genides. Their war for total control over all human species drives them into the territory of an ancient alien race that does not tolerate other cosmic civilisations: the “Restorers”. To survive this war and uncover the motives of the alien’s destructive behaviour, you are forced to join one of the two dominant human races. Their search for the origin of the Restorers becomes a race for survival of all three human species. The graceful Genides were the first of the two new human species to be created on Sabiador. They need virtually no sleep, their wounds heal quickly and they are capable of telepathic communication. Most of them are also resistant to illness, their thought processes are faster, they can hear in ultrasonic and infrasonic frequencies and have a long life expectancy. The Tyi-protectors were created after the first species wars and are the second superhuman species besides the Genides. Contrary to their genetically manipulated arch-enemies, they have completely devoted their bodies to cybernetics (at first as part of the project, later of their own will). 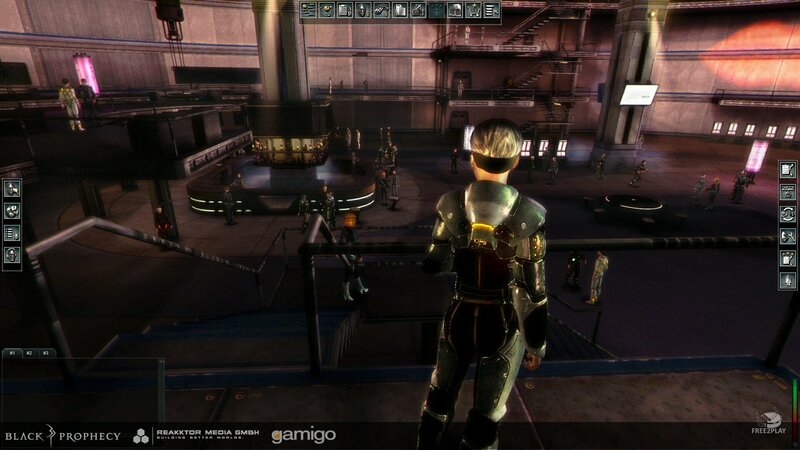 Black Prophecy is more action-oriented than a traditional space simulation. 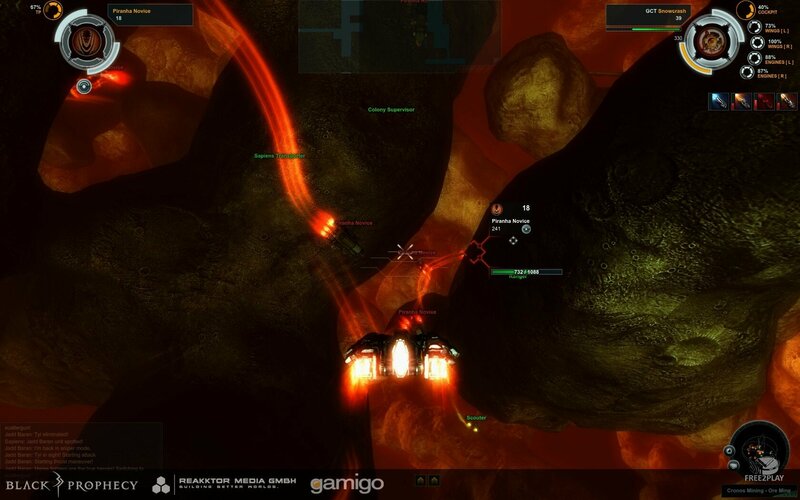 We are trying to avoid long travel times or other activities where the player isn’t really doing anything. Black Prophecy’s universe, story and background has been created by the award-winning Sci-Fi author Michael Marrak. 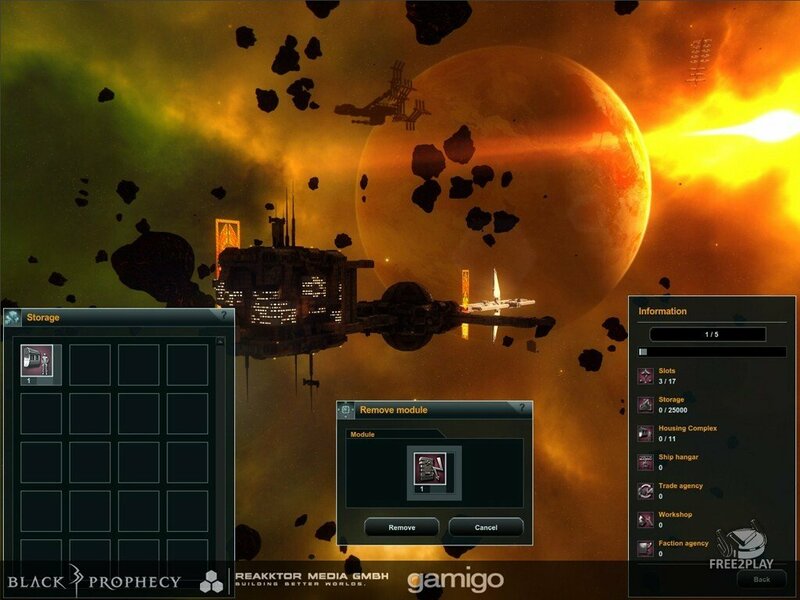 In addition to the modular ship design, players can also further customize their ships by adding modifications to their ship’s modules and weapons. There are three different kinds of resources which serve different purposes. First of all they are needed to modify items such as ship parts or weapons. Resources are also a kind of tax for the factions. A part of the resources gained by clans have to be handed over to their faction. These resources will be used in big PvP faction battles and define how often the faction member can respawn during the fight. Furthermore clans have to invest resources to fight other clans. This also defines how often the clan members can respawn at their base within the combat area. Black Prophecy allows you to fully customize your pilot avatar and ship. It’s up to you what colour you choose for your ship and which ship modules and weapons you decide to use. The vast amount of available modules and ways of assembling them gives you countless possible combinations to personally define the shape and look of your ship.